Kathleen Clem, MD, FACEP is Chair of the Department of Emergency Medicine and Professor of Emergency Medicine and Pediatrics at the Loma Linda University School of Medicine. 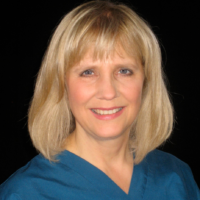 Dr. Clem received her MD degree and completed her residency in Emergency Medicine at Loma Linda University. Dr. Clem returned to her alma mater as the first female Department Chair in the School of Medicine, after serving for almost 10 years as the first Chief of the Division of Emergency Medicine at Duke University. While at Duke she started the Emergency Medicine academic and clinical programs. Dr. Clem is the inaugural President of the Academy for Women in Academic Emergency Medicine (AWAEM), and immediate Past Chair of the Association of American Women Emergency Physicians (AAWEP). She is married and has two children. When not advocating for women in medicine she enjoys time with her family; canoeing, hiking, skiing, baking, and traveling.